Girl Kuripot Girl Kuripot: Win a SEAIR Trip for 2 to Boracay! 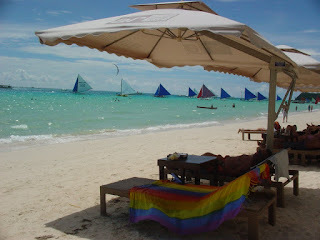 It's time to think of Boracay again at the height of the rainy season. It's nice to go there even in August (see the picture below from my last August trip). Here's a chance to win a 3D2N Trip for 2 to Boracay complete with accommodation at The Tides, dinner, zipline, new sandals and new shades! SEAIR is giving away the prize to the winner of their Summer Memories Photo/Video Contest. The deadline of submission of clips is on August 15, 2011! Click here to join SEAIR's Summer Memories Photo/Video Contest.